Redefining the traditional retreat into an unrivalled tropical journey, The Westin Langkawi Resort & Spa is divided into two portions, with accommodation being split across two parcels of land the resort provides 191 guest rooms, 11 suites and 20 private ultra luxury Ocean View Pool villas that are separated into East & West wing of building, with lushly landscaped gardens. The resort open terraces spaces platforms at various levels, boasting different stunning view of the Andaman Sea and nearby isles. Emphasis is placed on the careful planning of the in-between spaces to frame views of nature. Tastefully designed with a contemporary decor, all rooms feature the Westin’s signature products such as the Heavenly Bed and Heavenly Rain shower/bath. Seasonal Tastes an All-day dining eatery outfitted in crisp contemporary style with a private lounge area, this one of a kind restaurant portrays local identity with a touch of elegance. The eatery offers a heap of themed buffet dinner to whet any food aficionados’ appetite. Guests can douse up the peaceful air from open bar or unwind with a book and locate a serene spot on the outside patio deck seats overlooking the fabulous view of the Andaman Sea at Breeze Lounge. The natural sights and sounds additionally add to the appeal of the resort. Laze around the pool and relax yourself under the golden sun for a rejuvenating tropical escape mesmerizing view of the Andaman Sea at the Splash pool bar. Experience comfort food with a broad range of flavours. Indulge in traditional Italian fare, Mediterranean cuisines including succulent seafood fare. Dine alfresco and enjoy the majestic sunset over the Andaman Sea served with a Malaysian smile at Tide. 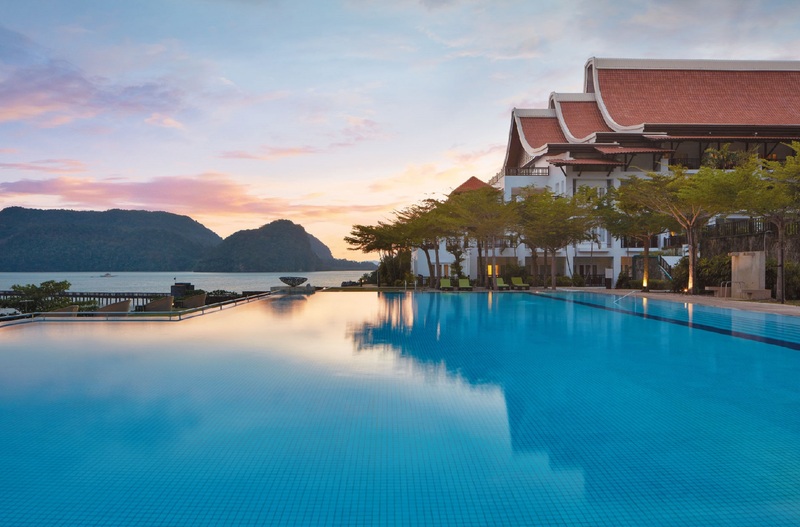 The Heavenly Spa by Westin is a stunning beachfront property that takes its primary inspiration from the surrounding beauty of Langkawi. The spa menu is abundant with wellness offerings with many treatments deriving from Malay, Ayurveda, Traditional Chinese Medicine, Turkish, Swedish and Indonesian modalities. Also tastefully included are anti-aging facials, body exfoliation, foot and bathing rituals and an extensive choice of global massages. Westin Kids Club® at The Westin Langkawi Resort & Spa introduces your kids to the traditions, sights, tastes and sounds of Langkawi. Open for kids ranging from 4 to 12 years of age, the Westin Kids Club offers a wide range of activities for kids to enjoy what the island has to offer by exploring the beach, learn about the floral and fauna of Langkawi and take part in local kid’s game. Create lasting memories at The Westin Langkawi Resort & Spa with an experiential dinner at one of our resort’s most exclusive locations. Be it The Float, our private jetty stretching far out into the sea; Anjung Damai, an intimate spot with the sea as your backdrop; the Heavenly Spa providing an absolute tranquil setting; or in the comfort of your private Villa, any of our four unique venues will truly elevate your dining experience. Under the picturesque scenery of Langkawi, our culinary team will delight you with exclusive menus and lavish treats, making your stay truly unforgettable. The Westin Langkawi Resort & Spa offers ample state of the art facilities to make your events run smoothly. With 6 elegant and spacious conference and banqueting spaces, the meeting venues are suitable for business and social events such as corporate meetings, business seminars, cocktail parties, weddings, dinner and dance or even just a private gathering. Exquisitely decorated, the Westin Grand Ballroom can accommodate theatre style conferences for up to 400 guests. Jalan Pantai Dato Syed Omar, Mukim Kuah, 07000 Langkawi, Kedah, Malaysia.